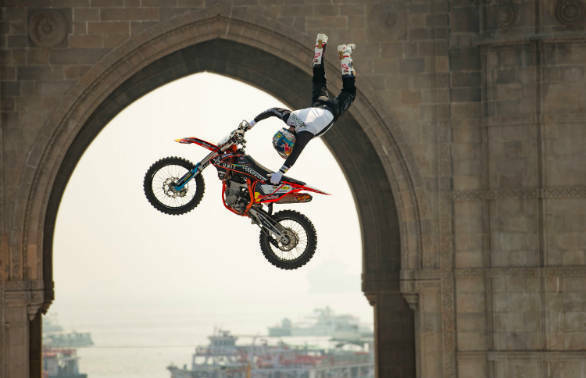 The Red Bull FMX Jam was held today at the Gateway of India where Mumbaikars were left amazed by some spectacular, freestyle motorcycle stunts by Red Bull athletes. 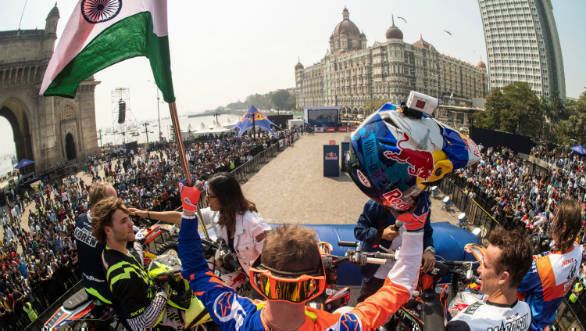 Robbie Maddison, Alexey Kolesnikov and Tom Pages were undoubtedly the stars of the show, enthralling everyone assembled at one of Mumbai's most iconic tourist spots. The trio were joined by other Red Bull freestyle motorcycle athletes- Martin Koren, Radek Bilek and Julien Vanstippen. 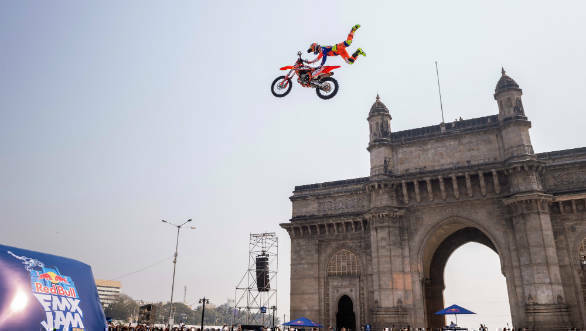 Held in the enclosure that surrounds the Gateway, the riders performed some mind boggling, mid-air stunts while jumping from one ramp to the other. There were backflips, sideways glides and what have you. Some of them, including veteran Robbie Maddison also were off the bike's seat, mid-air, in a daring display of guts, skill and finesse. 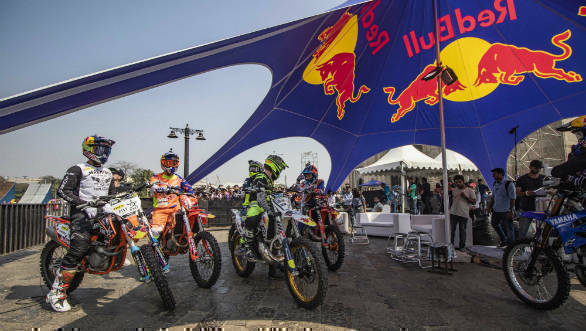 Tom Pages was amazed by the reception that the Red Bull freestyle riders got, some whom, including him, being first time visitors to India. " I really enjoyed my first visit to India. Mumbai city is so vibrant and I am so happy with all the encouragement and support I've received from Red Bull."